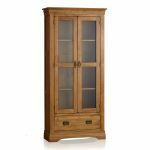 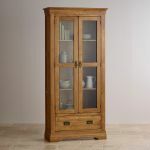 The French Farmhouse Rustic Solid Oak Glazed Display Cabinet is a sure-fire way to introduce a sense of elegance and refined luxury to your home. 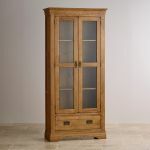 Handcrafted from only the finest cuts of A-grade solid oak throughout, the cabinet features flared cornices and carefully carved panels which are superbly complemented by antiqued metal handles. 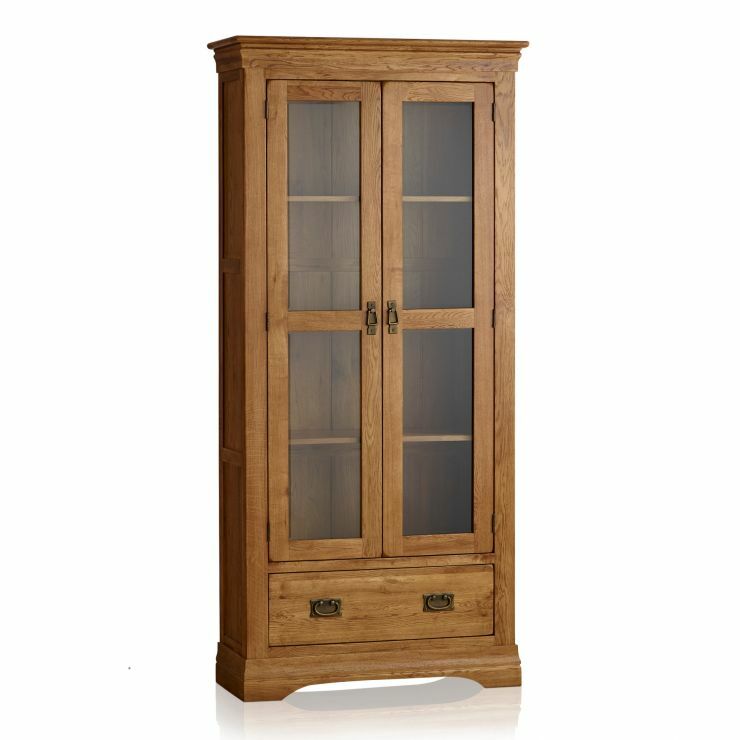 The cabinet offers four generously-sized shelves - perfect for display glasses, ornaments or your collection of china. 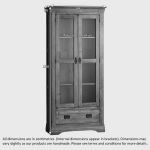 At the base of the dresser there is a spacious drawer, made using resilient dovetail joints with solid oak backs, bases and runners. 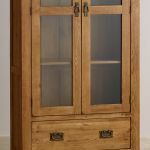 We only ever use the finest materials and we never use chipboard, MDF or veneers in any of our products - even the back panels of this display cabinet are 100% solid oak! 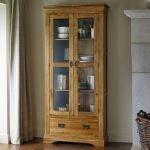 Take a look at the rest of this eye-catching collection to see how easy it is to co-ordinate your home.